FODMAP is an acronym for Fermentable Oligosaccharides, Disaccharides, Monosaccharides and Polyols. They are a group of small carbohydrates (sugars & fibers) that are indigestible or poorly absorbed by certain people, which can lead to irritable bowel syndrome (IBS) symptoms. For more about FODMAPs visit our page on this topic. How Do I Know Which Foods Contain FODMAPs? Well, you can’t tell by looking! Foods have to be tested in the lab and there are surprising results. For instance, blueberries, raspberries and strawberries are all low FODMAP but blackberries are higher in FODMAPs. So we all have to rely on scientists to help us out. You can check out our comprehensive list of low FODMAP foods, and we do update it monthly. For a digital version we recommend downloading the Monash University Low FODMAP Diet™App if you can, which is available for both iPhones and Android. They keep testing new foods and adding them all the time. There Is So Much Contradictory Information About the Low FODMAP Diet. How Do I Know What to Eat? We understand your confusion. As time goes by there is more and more information available referencing the diet - especially online - and the issue comes with extrapolation. For instance, someone reads somewhere that almonds are okay and they plaster an almond-filled recipe on their Pinterest board but they fail to hone in on the fact that a low FODMAP serving of almonds is just 10 nuts (12 g) or maybe the resource they were working from didn’t even bother to specify. We suggest that you stick with our resources or Monash University, the originators of the diet. We highly recommend that you download the Monash University Low FODMAP Diet™App if possible to help you through your day in a convenient, portable way. We use ours constantly! So, Specifically, What Are the Online Resources That You Trust for FODMAP Information? Monash University – this is ground zero in our book. Monash University is constantly updating their website and app information based on their research. Everyday Nutrition – Joanna Baker, APD, AN, RN and Marnie Nitschke, APD, AN provide both services and support one on one and online- they are both highly skilled and experienced in the low FODMAP diet- and are super nice! Based in Australia. You can read our interview with her here. A Little Bit Yummy – Alana Scott and her team of dietitians were some of the earliest promoters of the diet and offer a wealth of information on their site – with recipes and meal plans. You can read our interview with her here. Patsy Catsos – Patsy Catsos, MS, RDN, LD is a medical nutrition therapist, FODMAP expert, and author who is a highly respected low FODMAP expert with a wealth of reliable information on her site. You can read our interview with her here. Kate Scarlata – Kate Scarlata, RDN is one of the foremost authorities on the low FODMAP diet here in the U.S. and also follows the diet herself! She co-authored the book The Low FODMAP Diet Step by Step with FODMAP Everyday’s co-founder, Dédé Wilson. Diet vs. Disease- This website is run by dietitian Joe Leech, who has a Masters in Nutrition and Dietetics and his team includes Monash trained dietitians as well. While they offer broad coverage including information on autoimmune disease, metabolic health and genetics, they do have a special focus on the low FODMAP diet and offer many videos, downloadable handouts and PDFs. FODMAP Life, Colleen Francioli- Colleen is a Certified Nutritionist Consultant, has been educating about the low FODMAP diet for years and follows the diet herself. Her site offers many educational tools, recipes, downloads, easy-to-understand infographics and she offers a course that you can use at home to guide you through the low FODMAP diet. She also wrote The Everything Low FODMAP Diet Cookbook. The Bloated Belly Whisperer, Tamara Duker Frueman, MS, RD, CDN - Tamara is NYC based and has a clinical practice focused on the dietary management of digestive and metabolic diseases. She writes regularly for U.S. News & World Report and her book, The Bloated Belly Whisperer, is available for order now! Visit her site to sign up for her newsletter. Tell Me More About The FODMAP Everyday Elimination Icon! , which means they comply with Monash University science and are low FODMAP. 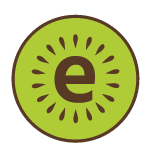 This icon is used when the recipe or product, based on the science from Monash University and other trusted resources (such as our Monash trained RD's clinical experience), is determined by us to most likely be safe for you while on the low FODMAP diet. Please read about our Recipe Filter where you can learn to further customize your recipe search based on your unique dietary needs. These recipes and products are not formally tested. We are suggesting that you try these foods and assess your own tolerance, but they are low in FODMAPs and are a good bet for being able to be incorporated into your low FODMAP lifestyle. We are not medical professionals and you should work with a licensed RDN while undertaking the diet – so you are responsible for your own choices here. We have done our very best to be as accurate as possible with our review of ingredients and amounts and content in our recipes. This filter is to help you expand your choices based on your specific sensitivities identified in collaboration with your medical support team. And Tell Me About Your Recipe Filter, Please! We have developed an exclusive, robust filter to help you find recipes that suit you specifically, no matter where you are in the diet. Let’s say you are a vegetarian in the Elimination Phase of the diet and want to only search Monash Certified recipes? You can do that. Or you have made it through the Challenge Phase and you know you can eat foods with polyols but not fructans or lactose or oligos but you really do want the broadest range of recipes to choose from. You can do that with our filter. Or you are looking for chicken recipes that can be made in 30 minutes or less, are free of all the FODMAP categories and also gluten-free. You can do that, too and more. Go to our Recipes landing page and check it out. Give Me The Short Answer. How Do I Do This? I’m Sick and Tired of Being Sick and Tired! Go to a GI specialist and rule out celiac. If you receive a diagnosis of Irritable Bowel Syndrome (IBS), go to step 3. Find a RDN to help you navigate the diet. Commit yourself to ONE WEEK. We think that you will be feeling so great after JUST SEVEN DAYS that completing the approximately month-long Elimination Phase is going to fly by! Surround yourself with reliable resources, like us, to help you. You are not alone! Take The Challenge Phase seriously, slow and methodically – it will last about 1 to 2 months, during which you will learn about your personal food triggers. Most likely at this point you will be pain and symptom-free and literally feel like you got your life back. You will be nothing short of amazed. ARE YOU READY? Yes? We are here for you. The Diet Isn’t Helping! What Do I Do Next? Take a look at what you are doing. Are you taking probiotics or any other medicines, including herbal supplements that might be conflicting? Are you cheating here and there thinking that it won’t really matter? Are you using information from several resources trying to cobble together a system? We suggest that you regroup before giving up! You owe it to yourself to give this a serious, structured try. We aren’t saying it will be super easy, especially at first, but the potential of living a pain and symptom-free life might just be a mere month away! Let us know how we can help you focus. We want you to thrive! What If The Diet REALLY Doesn’t Work for Me? Statistically up to about 75% of you with IBS will experience symptom relief when following the low FODMAP diet. Of course that means that for 25% it might not be the answer. Or perhaps, it needs to be followed in conjunction with other plans of attack. Check back in with your RDN and/or GI specialist and most importantly don‘t give up! There is relief for you – it might just take some sleuthing to figure it out. Dédé and several members of our Success Team follow this diet and have personally experienced the life-changing value of the low FODMAP lifestyle. We are truly here for you. We developed FODMAP Everyday for people like you who want their lives back. Use our Contact page to drop us a line. We are always looking for ways to improve our offerings and become the community that you need. Now, Go Out There, Eat and THRIVE!